Point2 Homes gives you far more than a simple list of houses for sale. Get instant access to a lot of relevant information about Sardis, Chilliwack, BC real estate, including property descriptions, virtual tours, maps and photos. The search results pages also have a wealth of information on Sardis, Chilliwack, BC, if you scroll all the way down. There are 179 houses for sale in Sardis, Chilliwack, BC. 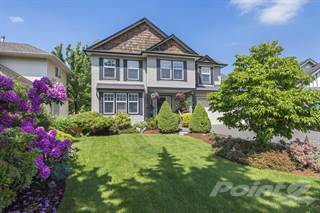 Searching homes for sale in Sardis, Chilliwack, BC has never been more convenient. 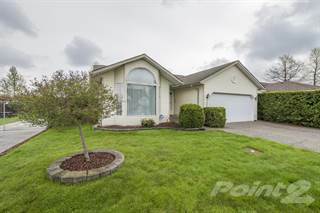 With Point2 Homes, you can easily browse through Sardis, Chilliwack, BC single family homes for sale, townhomes, condos and commercial properties, and quickly get a general perspective of the real estate prices. Also, you’ll never miss a bargain if you filter listings based on house price drops in the past six months. Use the map view to find Sardis, Chilliwack, BC homes and apartments for sale, based on amenities or city features that you may want close by. You can close in on a specific neighbourhood or area by simply drawing around them with the polygon or radius tools. Stay informed about the latest entries on the real estate market by saving your searches. This way, you get new listings in your inbox, daily or every week, based on your preferences. If you’d like to get in touch with a professional, agents are displayed next to their listings, and they’re easy to contact through the online forms. If you want more options, you can click the Tools tab and Find an Agent, and you’ll get a list of helpful and knowledgeable real estate agents in Sardis, Chilliwack, BC. Visit the Point2 Homes blog and you can find up to date expert advice on many markets throughout Canada, regular market reports, neighbourhood scoops in cities throughout the provinces, real estate deals and useful recommendations. Sardis was originally a quiet agricultural community before development in the area made it a popular shopping destination with several malls and shopping centres. The neighbourhood features many parks and greenspaces, as well as great views of the Chilliwack River in the southern section. Public transportation throughout the neighbourhood and access to the Trans-Canada Highway in the northern section make travelling in and out of the area quite easy. Located in the central section of the city, Sardis extends from Unsworth Road in the west to Chilliwack River Road in the east, and from the Trans-Canada Highway in the north to the Chilliwack River in the south. Sardis feels like a suburban area, but offers many amenities at the same time. There are many family-friendly activities to partake in throughout the neighbourhood, both indoors and outdoors. Sardis is home to the Cottonwood Mall, which features stores selling clothing, electronics, accessories, footwear, home décor items, and gifts. Services such as banking, travel, optometry, salons, dentistry, and tailoring can also be found at the mall. An onsite food court offers around a dozen dining options. The Cottonwood 4 Cinemas is a discount movie theatre showing blockbuster films a few weeks after their premiere dates to keep costs low for customers. The theatre has a concession area and can be booked for private parties and events. The Kinkora Golf Course is a public 18-hole course that also has a practice green and an onsite clubhouse. The course is home to a ladies’ league and hosts various private events. Artisan is an art gallery and gift store that carries giftware, souvenirs, fine art, and home décor items, as well as offering custom framing services. Works by local artists are showcased at the store. Sardis has many chain restaurants, but also many local ones. Frankie’s Italian Kitchen and Bar, located on Vedder Road, serves up homemade Italian cuisine like antipasto, pasta, pizza, paninis, meat and seafood dishes, and decadent desserts. The simple but elegant décor lends itself well to large gatherings. The Curly Kale Eatery, also on Vedder Road, specializes in farm to table meals for breakfast and lunch. Fresh meats, eggs, cheeses, and veggies feature in most dishes. The dining space provides a rustic, homey feel. Coconut Thai Restaurant on Vedder Road offers a variety of authentic Thai fare such as dumplings, curry dishes, rice and noodles, seafood dishes, and tofu dishes. The bright, flavourful meals are served in the restaurant’s relaxed, comfortable dining space. At Garrison Bistro on Market Way, meals are prepared with as many local ingredients as possible. The beautifully crafted fare includes salads, meat dishes, pasta dishes, and seafood, and sharing plates is customary. Customers can choose to dine in the sleek interior dining space, or out on the restaurant’s inviting patio area. Single-family homes are most common in Sardis, although semi-detached options and apartments are also available. The average price for a home is $457,752, which is similar to the average price for homes in Chilliwack overall. The population of Sardis is 13,545, and this has been fairly steady over the past 10 years. Families make up 43% of the population here, 31% are couples, and 26% are single. The average annual income is $67,695, which is similar to the average annual income in the city as a whole, and 47% of residents are university or college educated. Sardis can sometimes experience air quality issues from heavy traffic near major roadways. Noise issues can also result from being located near major roadways. Sardis’s crime rate is similar to those of nearby neighbourhoods. The most common types of crime in the neighbourhood are theft from a vehicle, auto theft, and bicycle theft. Schools in the Sardis neighbourhood include Sardis Elementary, Sardis Secondary, Vedder Elementary School, Vedder Middle School, Evans Elementary, Watson Elementary, Mount Slesse Middle School, G. W. Graham Middle Secondary, Tyson Elementary, and Promontory Heights Elementary School. Other options can be found in nearby neighbourhoods. Post-secondary institutions in the neighbourhood include Chilliwack ElderCollege, University of the Fraser Valley (Trades and Technology Centre), and the Justice Institute of British Columbia. Other options can be found in nearby neighbourhoods and include Sprott Shaw College, University of the Fraser Valley (Chilliwack campus), and CDI College. Several BC Transit routes run in and around the neighbourhood, including routes 1, 4, 5, 6, and 8. The Fraser Valley Express route provides transportation to nearby communities like Abbotsford and Langley. Regular bus routes connect the neighbourhood to all areas of the city. Sardis has many parks, mostly along the western and eastern areas of the neighbourhood. 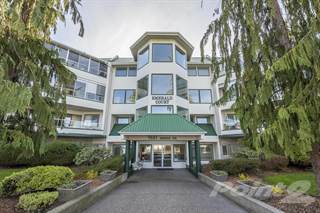 Sardis Park is in the heart of the neighbourhood and features 5 acres of park space. The park has a pond, walking paths, playgrounds, picnic tables, restroom facilities, landscaped areas, and greenspace. A small market is set up in the park every Wednesday during the summer months. Vedder Park is in the southern section of the neighbourhood and features a walking trail, off-leash dog areas, treed areas, restroom facilities, and greenspace. Also in the southern section is the All Sappers Memorial Park, which honours the sacrifices made by military engineers, called sappers. The park has a monument with landscaped areas, walking paths, and seating areas. It is also used for military remembrance ceremonies. Watson Glen Park in the southern section has a ball field, a ball hockey pad, tennis courts, a playground, walking paths, outdoor exercise areas, a skate park, treed areas, greenspace, and restroom facilities. The Twin Rinks Ice Arena has two indoor ice rinks with spectator seating. The rinks are used for ice skating, hockey, and public skate times in the winter, and for lacrosse, ball hockey, rollerblading, and other dry-floor uses during the summer months. Project Dance is a dance school in the neighbourhood offering classes in acrobatics, circus performing, tap, jazz, hip hop, musical theatre, lyrical, modern, contemporary, and ballet. Classes are offered for children of all ages and the school also provides dance camps during the summer months. Excel Martial Arts provides martial arts lessons for people of all ages and skill levels. The classes combine development of physical and mental fitness, self-esteem, and self-confidence. Community programs are also offered at the Sardis Library in the neighbourhood.